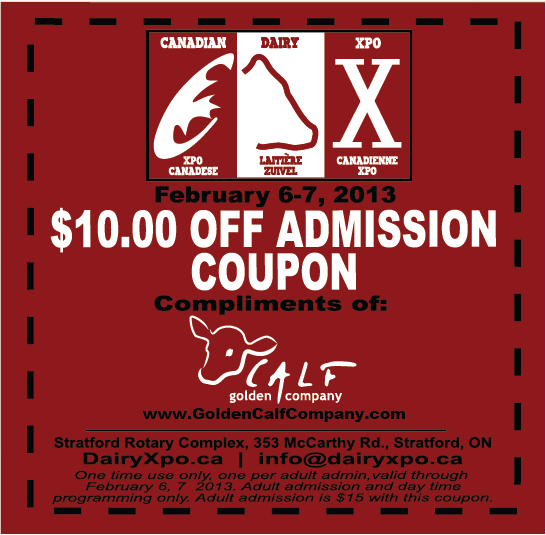 Golden Calf Company teamed up with the Canadian Dairy Expo to bring you this valuable coupon. Use it to get a discount at the Canadian Dairy Expo and witness the first ever Live Demonstration of Colostrum Management System by Golden Calf Company. And even get an opportunity to try feeding the calves yourself.